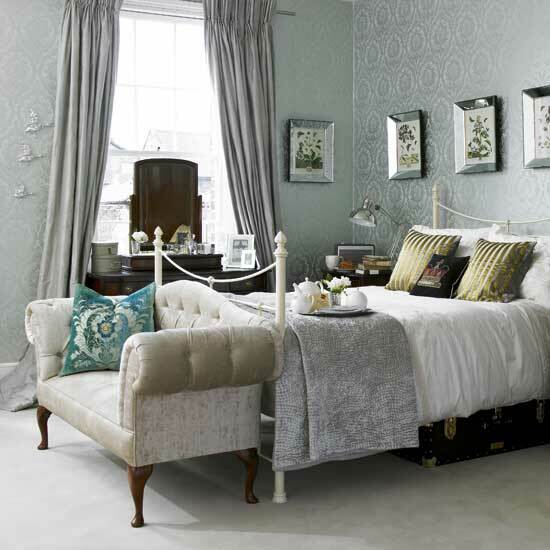 Lately it seems as though clean white modern bedrooms are everywhere you look. While it's true that creating a serene place to relax and sleep is the goal, there are many different ways to get there, including adding a little pattern to the wall in the form of wallpaper. The bedroom is one of the rooms in the house that feels the most intimate and private, so it makes sense as a place to show off a little — even if it's mainly for you to see. Teens and young kids are notorious for using their wall space in their bedrooms to express themselves, but when we get older and can actually do anything we want to our bedroom walls, why do so few of us actually take advantage of it? I'm not suggesting that the walls be strewn with magazine clippings (unless that's your thing in which case — go for it! 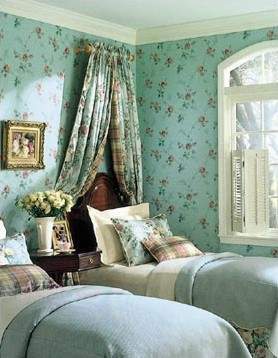 ), but the bold look of wallpaper can add some fun to the one room in the house that is most personally yours.